Variety is great for innovation. For instance, consider the case of Seymour Cray, the “father of the supercomputer.” In the 1970s, Cray left Control Data to start Cray Research, a company devoted to creating the world’s fastest computer. 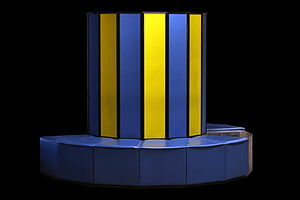 Cray approached the problem with a revolutionary architecture, so called “vector processing.” By 1976 he and his team introduced the Cray 1, and Cray Research was seen as the Mecca of high-speed computing. John Rollwagen became company President in 1977, bringing business leadership alongside Cray’s technological prowess. In 1979, Rollwagen brought in another technology genius, Steve Chen, to lead the design of a completely different approach to supercomputing. 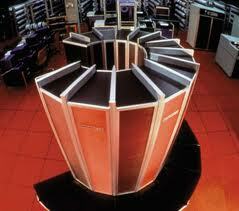 So as Seymour Cray’s team worked on the Cray 2, Chen’s team worked on the Cray X-MP. Chen’s design built on Cray’s initial innovation, but did so using a revolutionary architecture featuring multiple processors operating in parallel. Released in 1982, the X-MP set a new standard for supercomputer performance, and significantly raised the bar for the team working on the Cray 2. When we do not know what the future holds, variety helps our organization to discover what is possible. This truth is one reason why we often hear people saying that they want to increase the diversity of their employees. Just like the biosphere, organizations evolve better if they sustain variety. Yet examples like Cray and Chen’s are rare. One reason is that sustaining variety is expensive. How inefficient to run multiple projects that are trying to do the same thing. But another, bigger problem is that sustaining variety threatens to divide a company. People object to having others in their company working at cross purposes. How can we encourage differences without being divisive? I prefer “switch and commit.” The goal is still to end up committing at the end of the process, but during the decision I want the participants to switch roles. The person disagreeing with you needs to take your position and argue it well. Similarly, you must argue the other’s view well. You can think of the approach as devil’s advocacy taken seriously by both sides. I first tried “switch and commit” when teaching a controversial topic here at Stanford. For the first assignment, the students had to state their position on the topic. For the second, big assignment, they had to write an essay taking the opposite view. (They did not hear about the second assignment until after they handed in the first.) The end results were some fantastic essays, because the authors were legitimately skeptical. Since then, I have tried “switch and commit” when facilitating hard-hitting business meetings among top managers. The results have been mixed. Many people cannot get their head around a different perspective. But now and then you find an exceptional leader who appreciates the value of differing without dividing. A readable review of related academic work is Scott Page’s book The Difference.